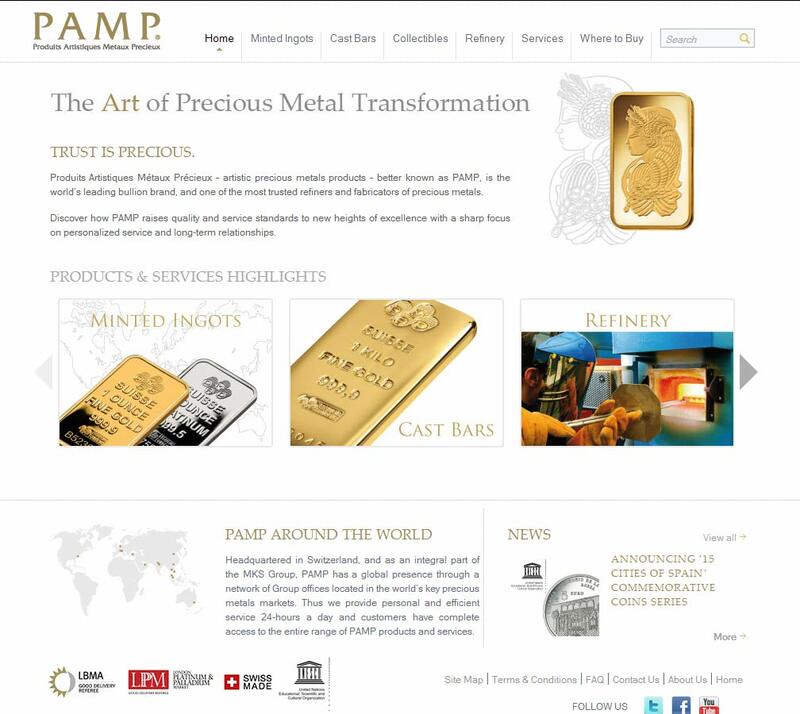 PAMP offers its clientele a complete production and delivery service. PAMP’s advanced in-house systems efficiently and securely manage stock orders, international logistics, metal hedging and account services, 24/7. 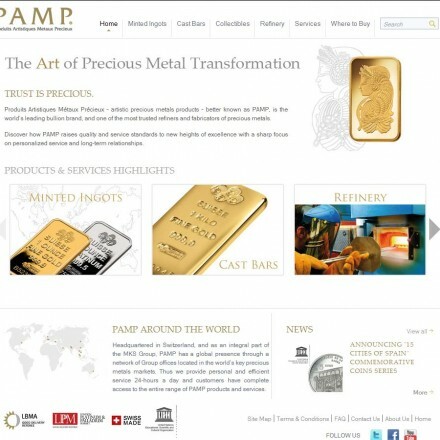 PAMP are universally reknowned for the quality of their gold products from near-numismatic Fortuna bars and pendants to LBMA good delivery ingots. It was natural for them to set up a wholesale hub in Dubai, the center of Middle East gold trading and from here they service both the local markets and international investors seeking to take advantage of Dubai’s tax advantages while sticking with a known European brand. 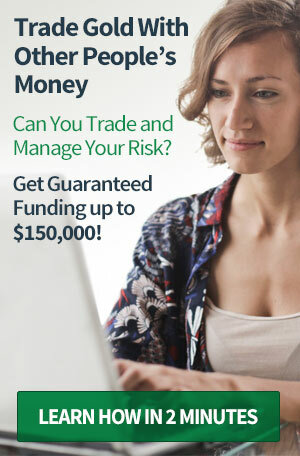 The PAMP.com website services PAMP customers worldwide and as such only lists the Dubai office address and contact details. Product and service details are impressive with detailed written information and beautiful product imagery – as one would expect from a world leader in the precious metals market. Considering the scale of the PAMP operation and it’s large website, useability is superb thanks to well laid out clean navigation and content with good sized text on a white background. Some of the text is light grey matching branding which for some may be difficult to read, but overall a very good website with all legals and contact information clearly visible. As a refiner PAMP Dubai do not have a huge number of online reviews but product reviews on third-party stockists are amongst the best in the industry. There are some complaints of high prices in other markets, but PAMP bars are typically seen as premium products – what we call semi-numismatic. 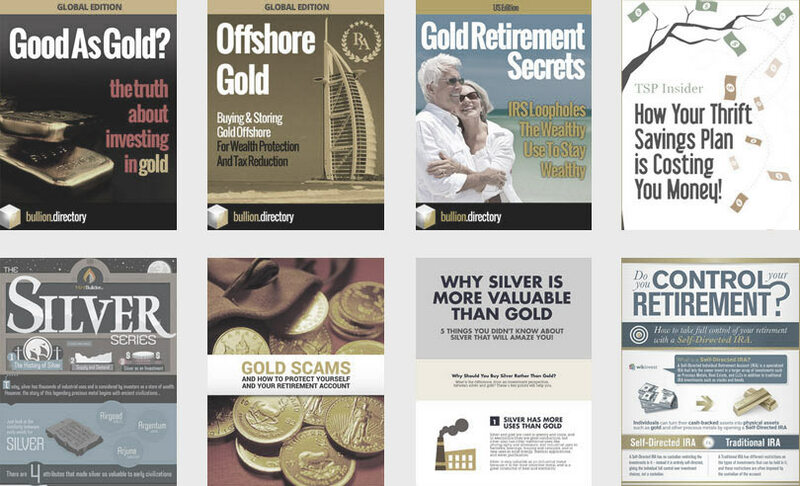 Bullion.Directory recommend that any complaints should be made directly to PAMP Dubai in the first instance – their customer care line is +971(4) 226-1998. 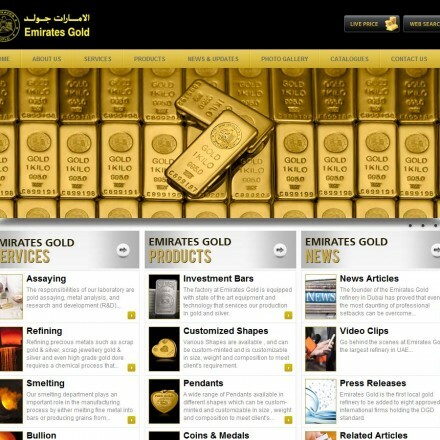 When doing business with PAMP Gold Dubai - please say you saw them in Bullion.Directory. 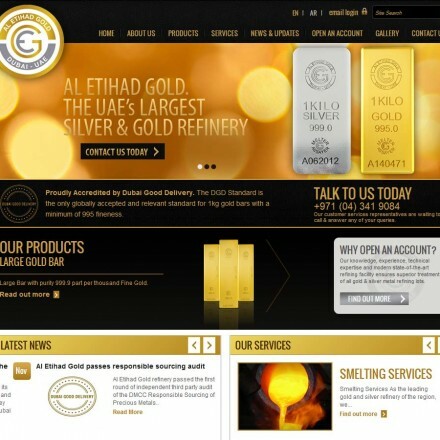 Read or add PAMP Gold Dubai reviews and ratings using the "reviews" tab above. All PAMP Gold Dubai details are believed to be correct at the time of listing. Please report errors here. I have recently been increasing my purchases of PAMP bullion as it is more immediately tradeable in Europe than our local Emirates bullion and thankfully increased purchase costs are rewarded with increased buy offers in most cases. Until a better acceptance of Emirates and Kaloti Bullion can be found overseas PAMP will remain a required stamp in bullion portfolios.